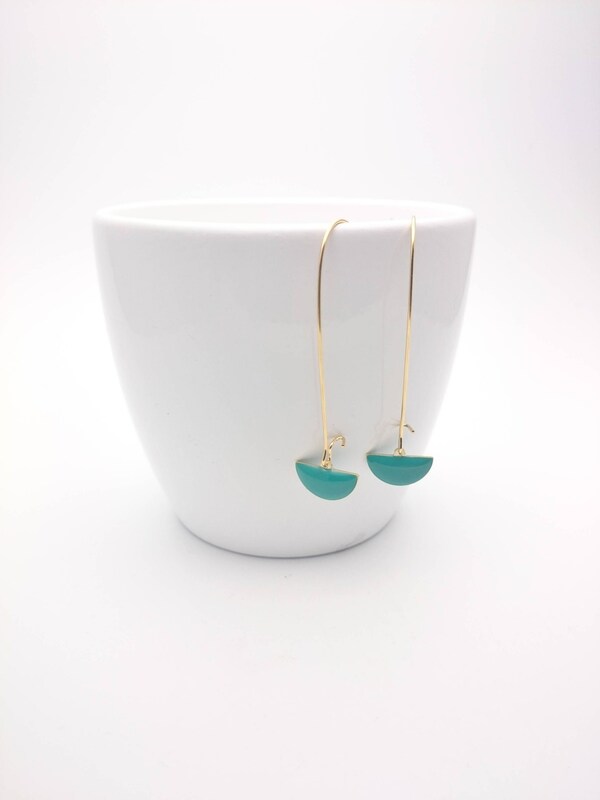 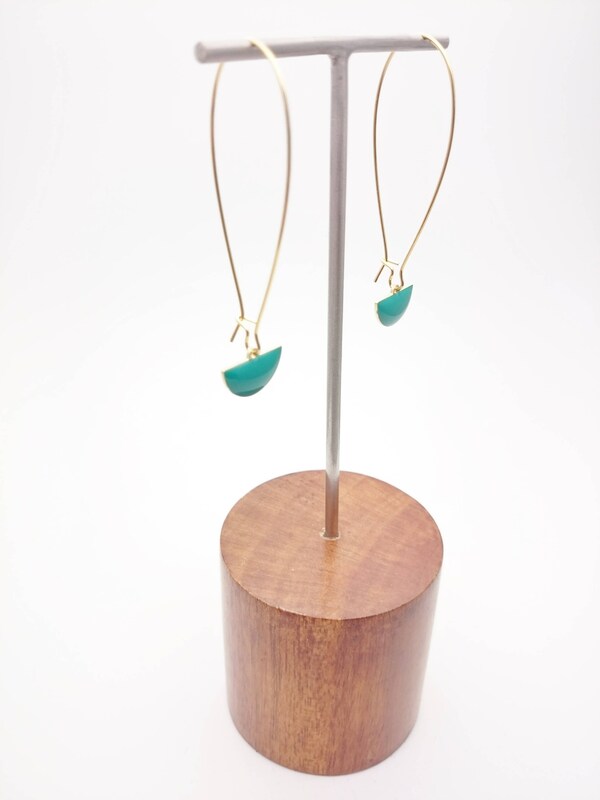 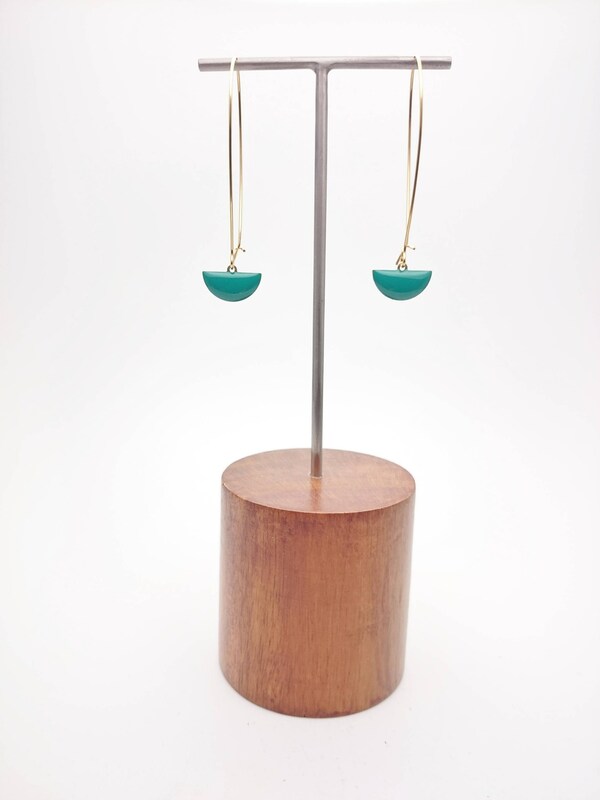 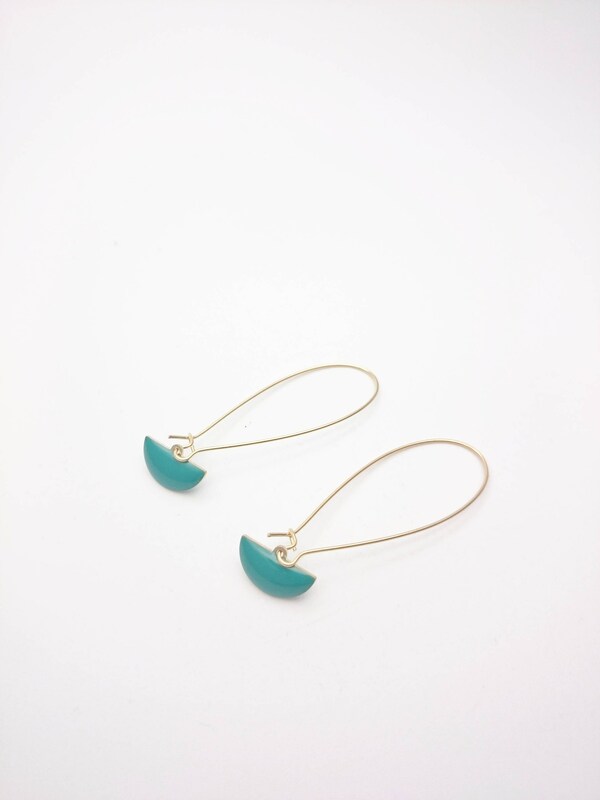 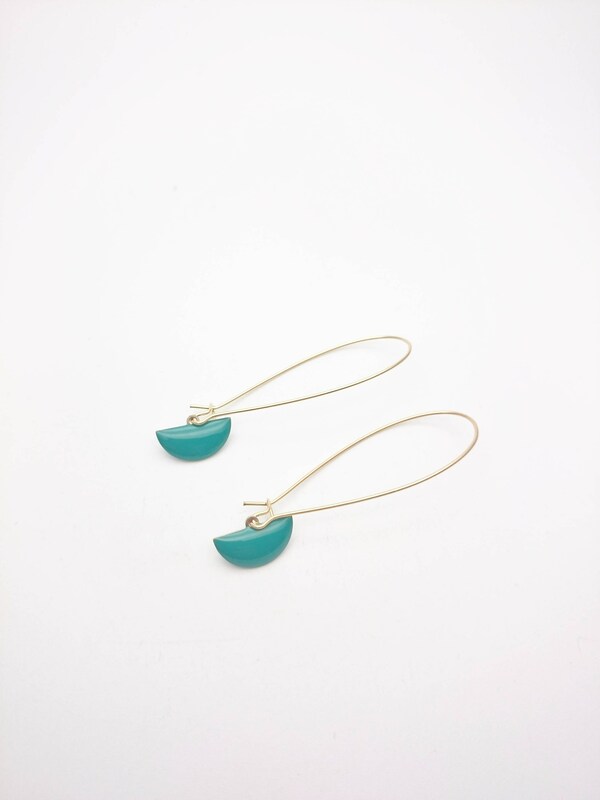 Long Gold Earrings Emerald Green enamel//Semicircle pendants dangles//Geometric dangle earrings gold surgical steel kidney earwires//Modern Dangle. 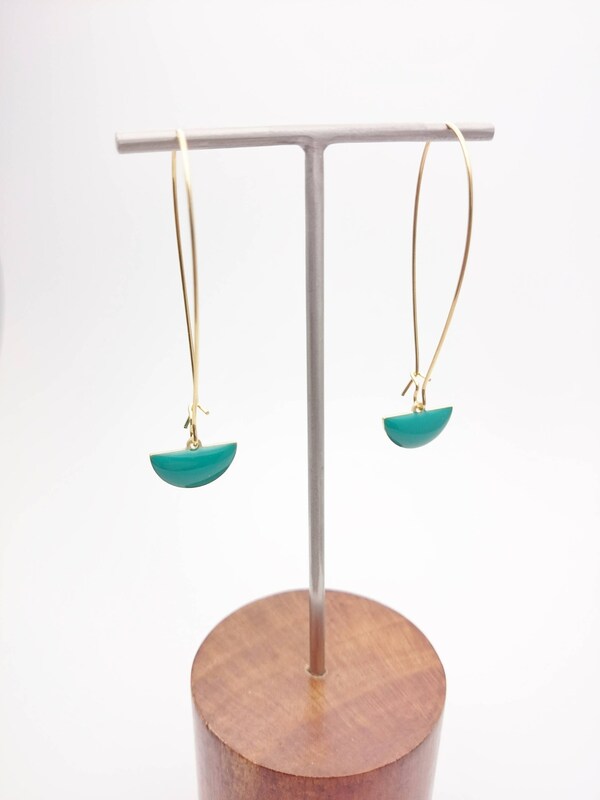 I made these earrings with gold color stainless steel kidney hooks and brass enamel little semi-cercle pendants. 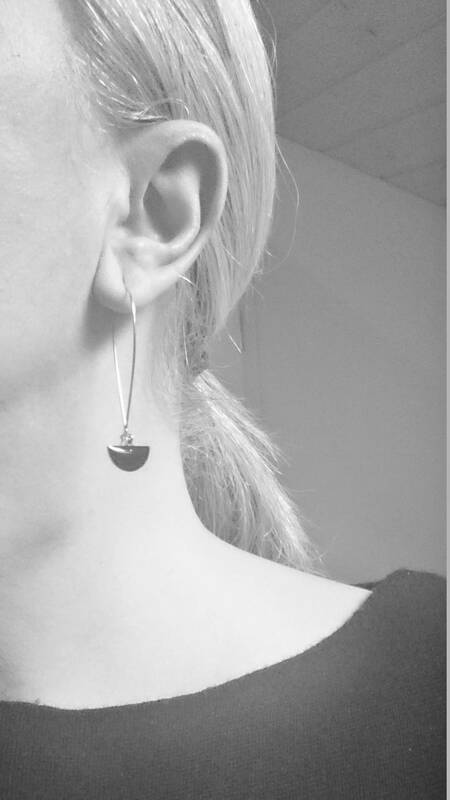 The entire earrings (with closures) are 5 cm / 2 inches long.